A few years ago I rebuilt an identical machine to the NSU Max featured (June 2017). It had stood partly dismantled in the yard of a shop, abandoned by the owner when the cost of replacing the big end was more than he thought the bike was worth. I bought it and set about returning it to something like the thing I wanted when I was 18. Everything came apart. I fitted new main bearings, piston and replacement crankshaft, then got on with reassembly, marvelling at the wonderful engineering and design features such as the means by which the valve clearances did not alter as the engine became slightly taller due to expansion when hot – clever stuff. Eventually the day came when I got it on the road and then its shortcomings became apparent. Firstly, it was tall and heavy. That did not bother me, as so am I, but it must have limited the potential market. Next, putting it on the centre stand was a hernia-inducing exercise, or would have been if a previous owner had not devised a lever arrangement using a bicycle pedal crank and length of steel strip to produce a tread-on action. Furthermore, the gear ratios were dreadful – three closely spaced ones for town use then a yawning gap to top. Another gear between third and top was not just desirable, it was necessary. As time went on, the rear suspension damper, tucked away in an inaccessible position in the middle of the frame beam, became increasingly ineffective. This was clearly recognised by NSU as the later Supermax had conventional rear units. Despite all this, in 1995 I rode the machine, along with a friend on a Supermax, to an NSU rally at Neckarsulm. Both machines ran well but mine expired three miles from home when I stopped at some traffic lights and instead of ticking over, it cut out. The battery was dead, so I must have been running on the dynamo for a while. However, I did have the consolation of winning the furthest ridden to the event, having travelled 12 miles more than my colleague. Some time later I sold the bike, which failed to live up to expectations. 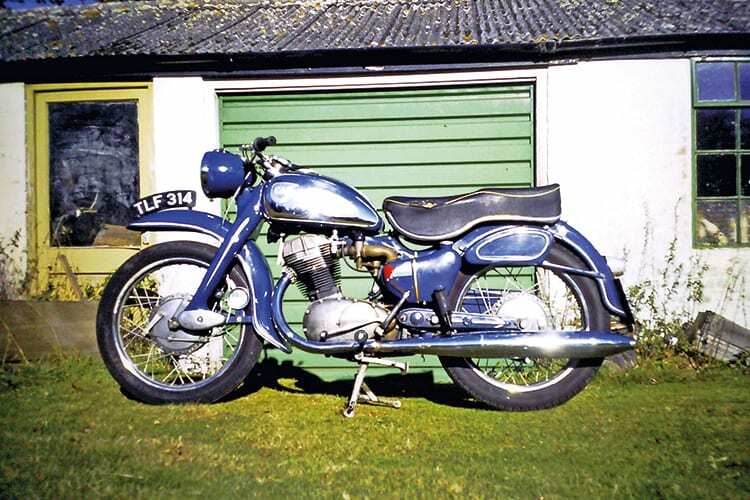 When I was 18 all I wanted was a Max and all I could afford was a 225cc Francis-Barnett Cruiser. I now realise how lucky I was. On the Barnett, it was a pleasure to come up to a bend or roundabout, snick down into third, whizz round and accelerate away. On the NSU that was not possible owing to the low third gear. I could just about put up with that when I was 55 but would have been thoroughly brassed off when I was 18. Incidentally, I understand (rightly or wrongly?) that the dimples in the rim after every fourth spoke hole prevented the tyre going into the well of the rim in the event of a sudden deflation. Hopefully that should help the rider bring the machine to a halt without total loss of control. Sounds reasonable to me. Read more Letters, Opinion, News and features in the August issue of TCM – on sale now!